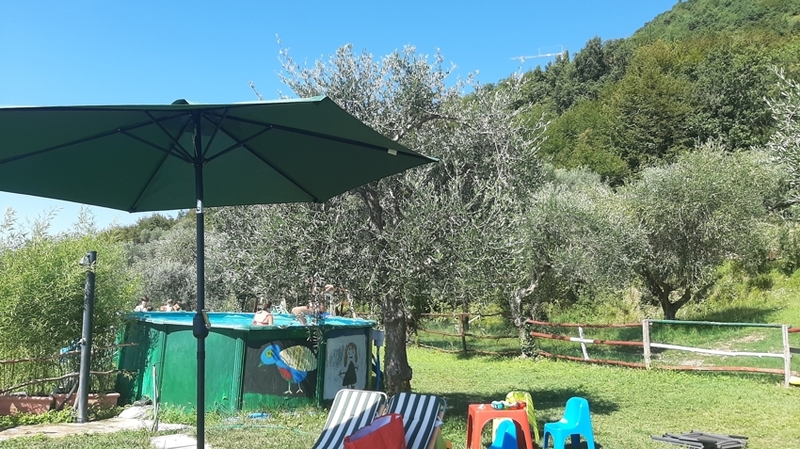 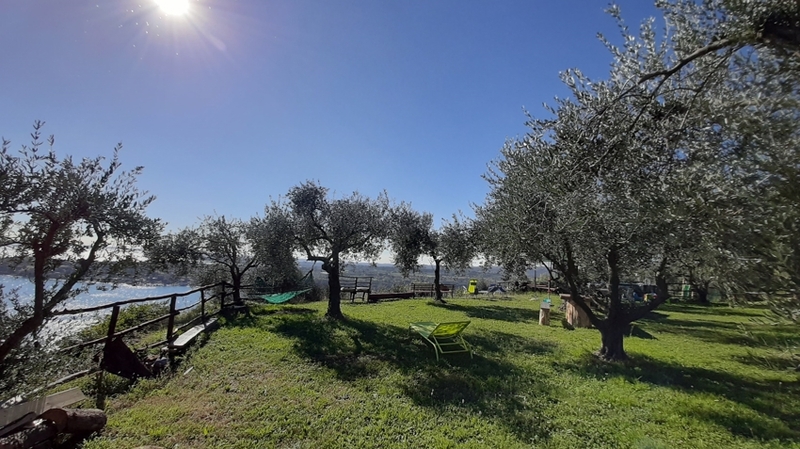 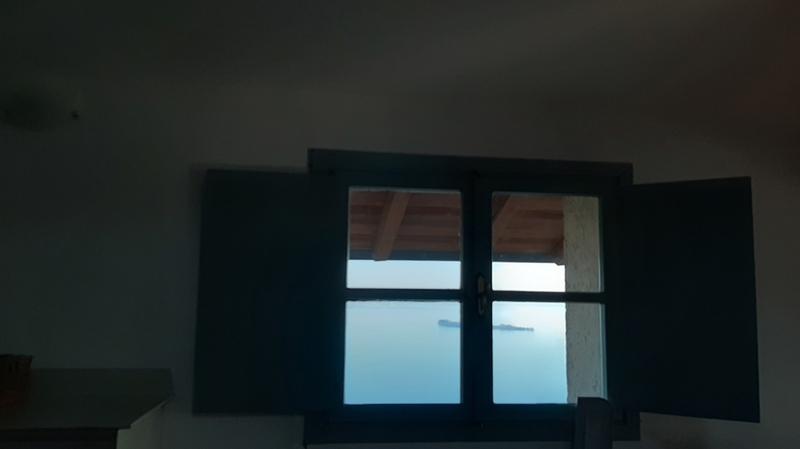 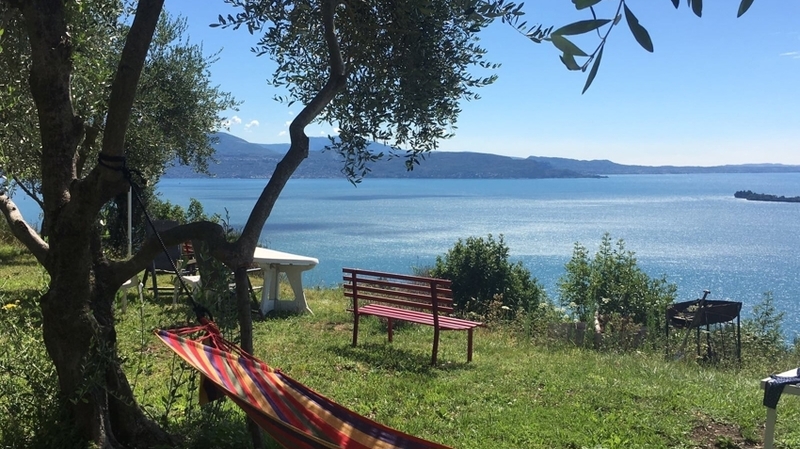 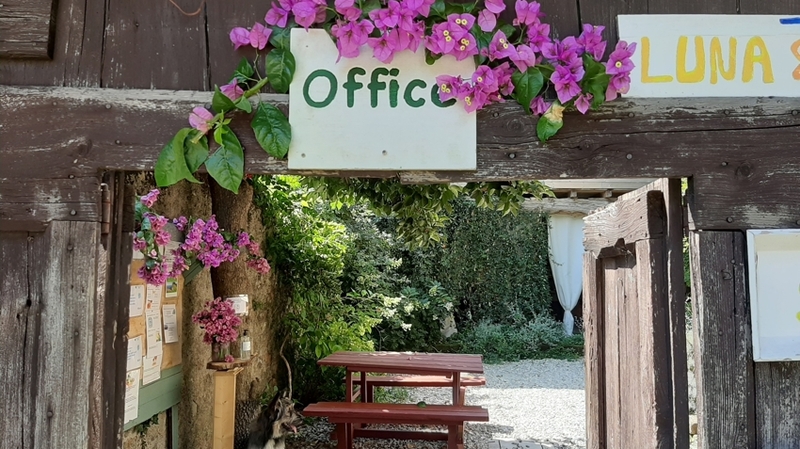 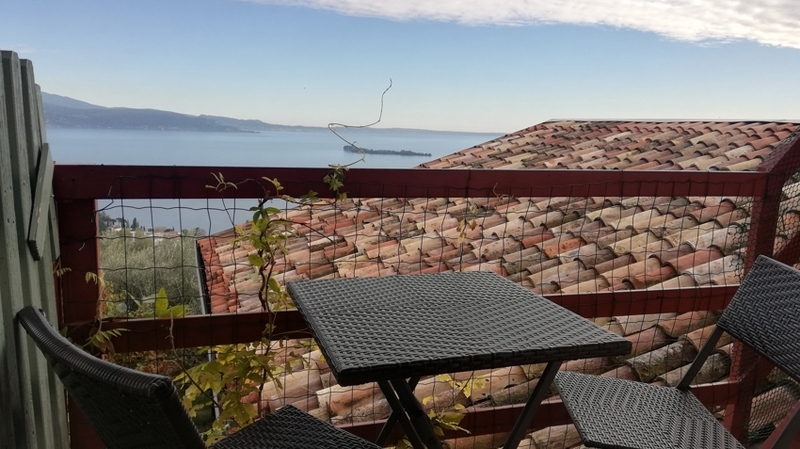 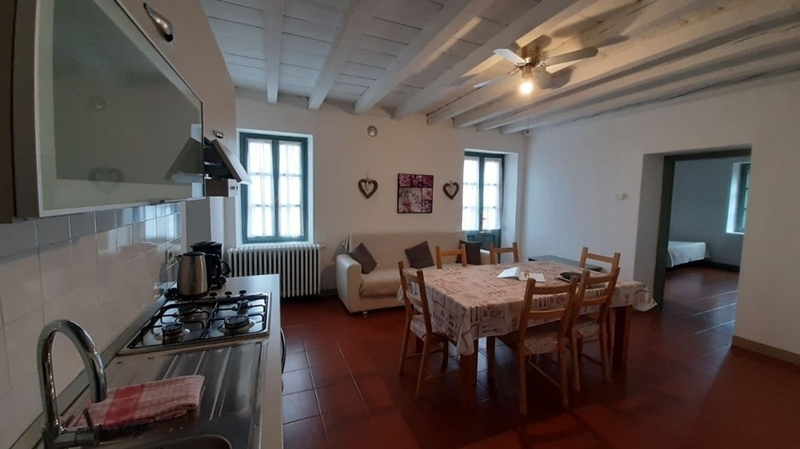 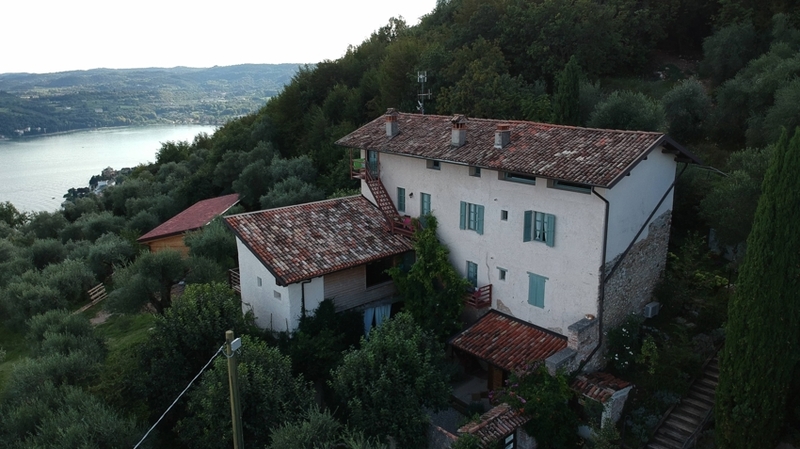 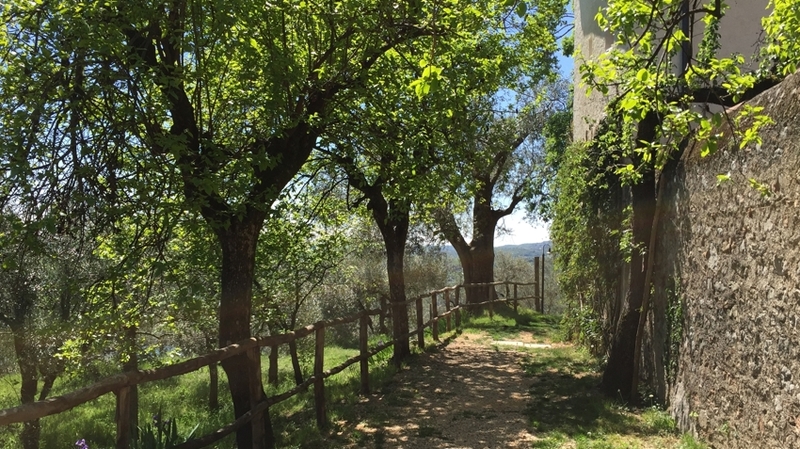 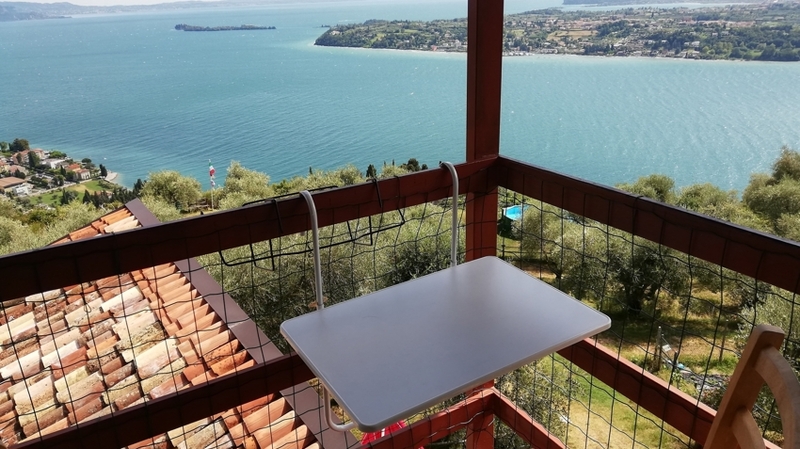 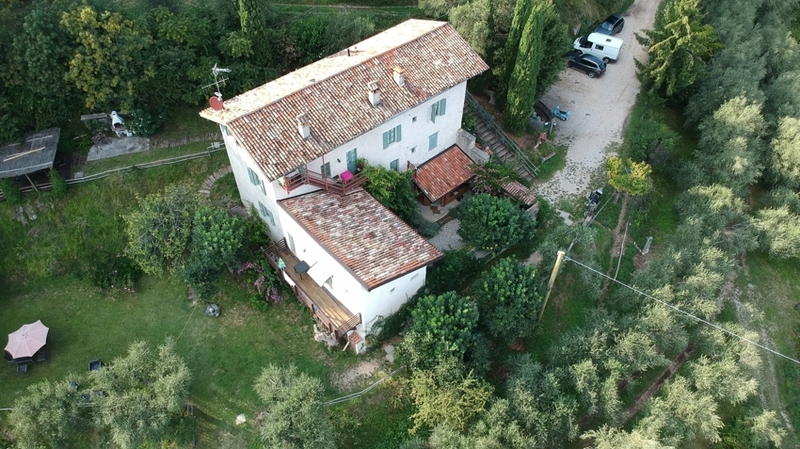 The apartments of Agriturismo Conte Brunello are located in the middle of a picturesque hilly landscape at Lake Garda, at 200 m of altitude and only 3.5 km from the historical centre of Salò. 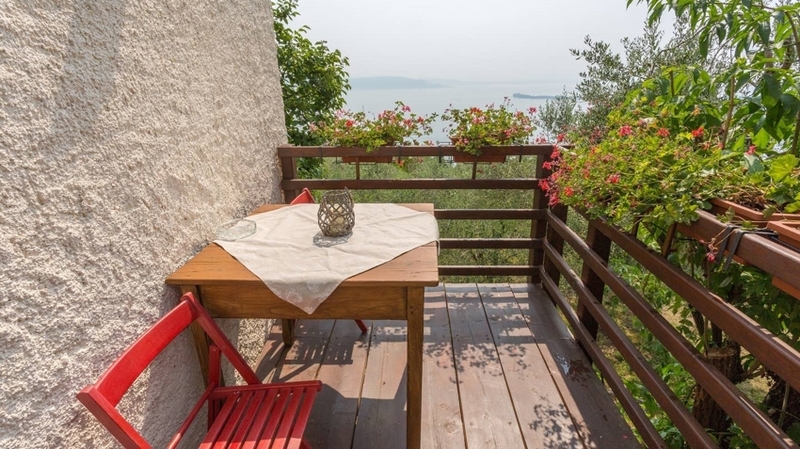 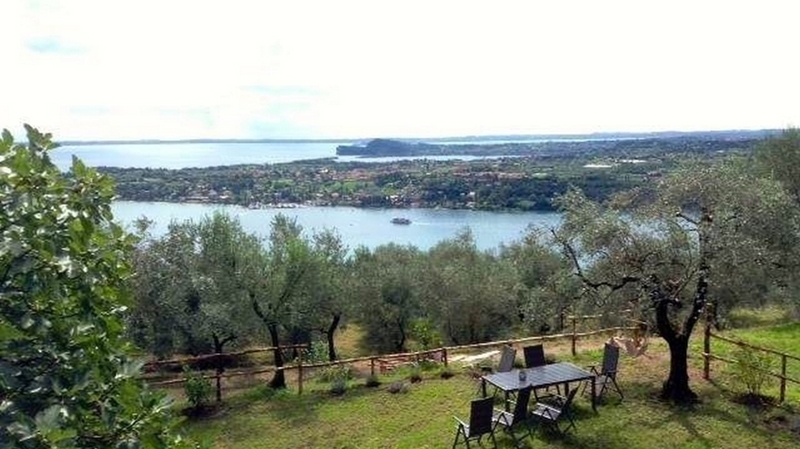 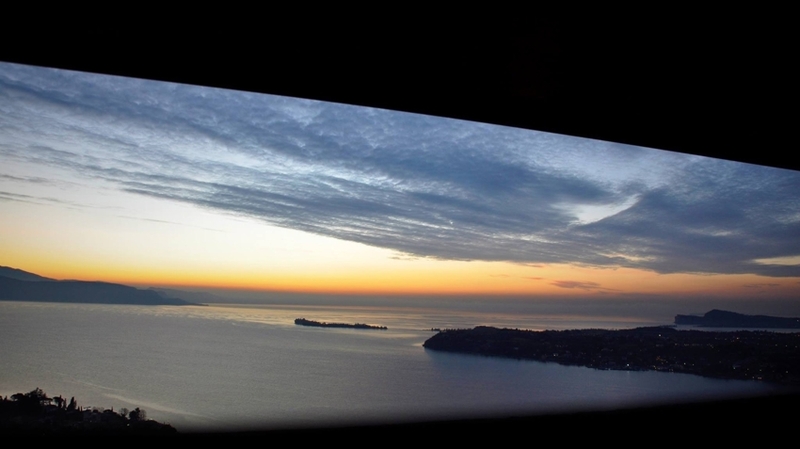 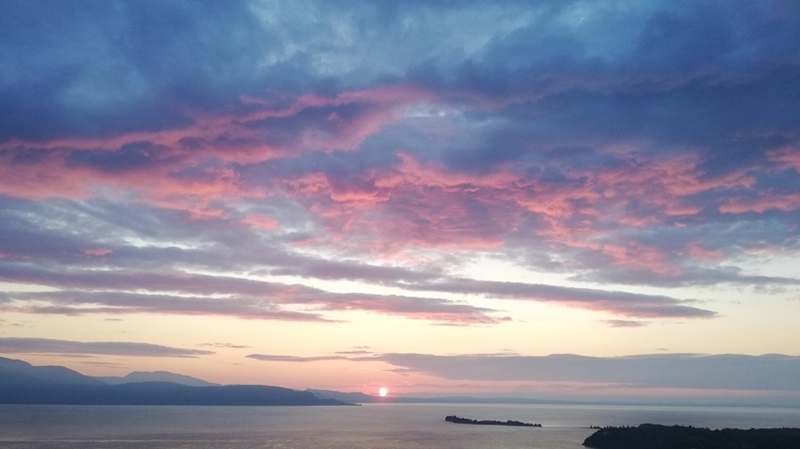 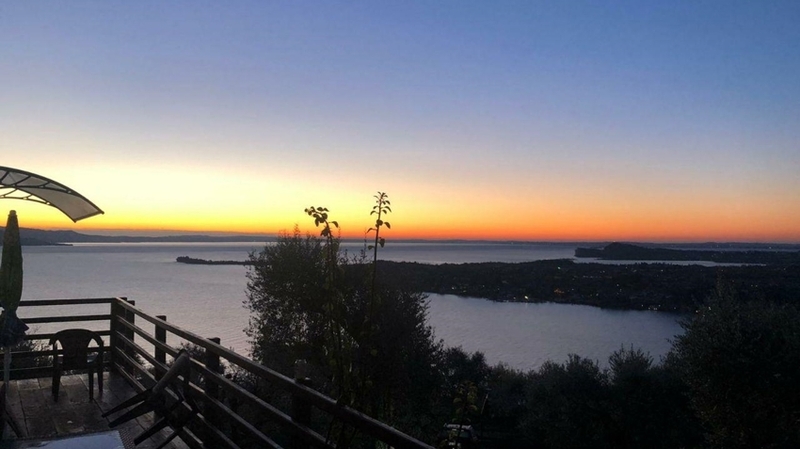 Our east facing apartment offer a magnificent view of Lake Garda, which can be best admired at sunrise and sunset. 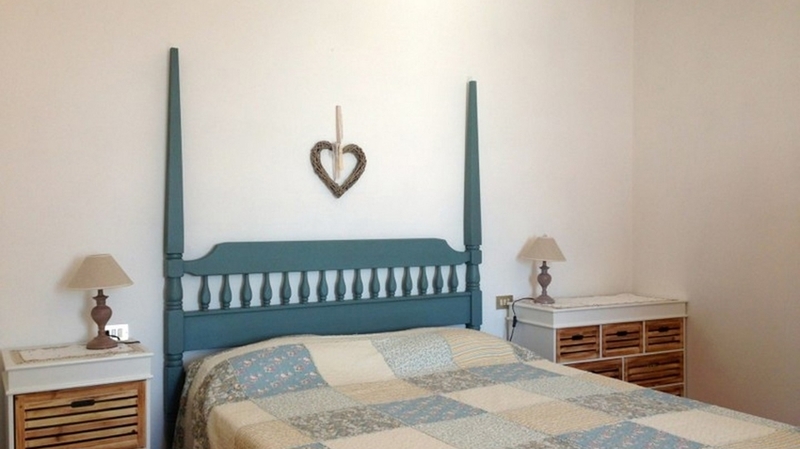 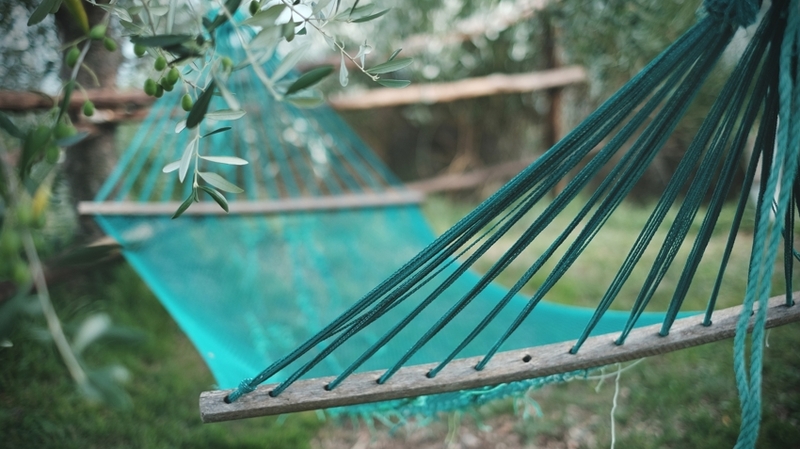 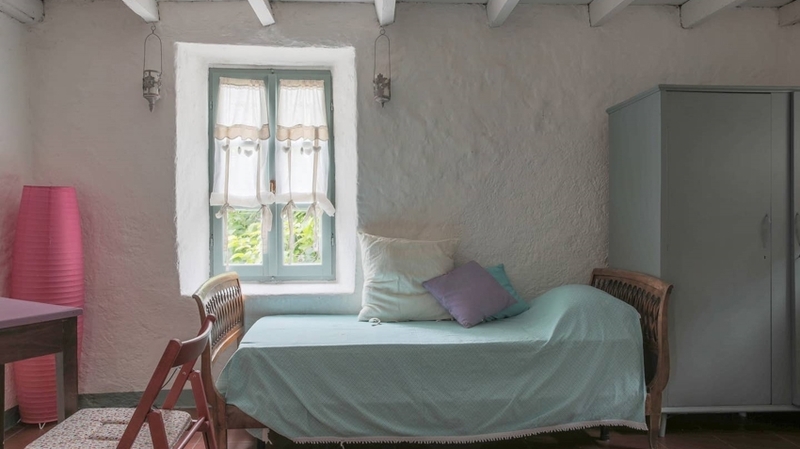 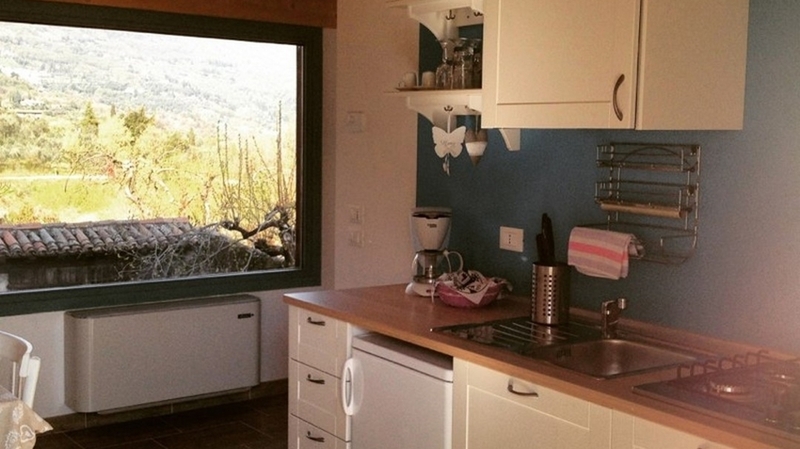 Here, you will be surrounded by an abundant flora of olive groves, fruit orchards and wild flowers. 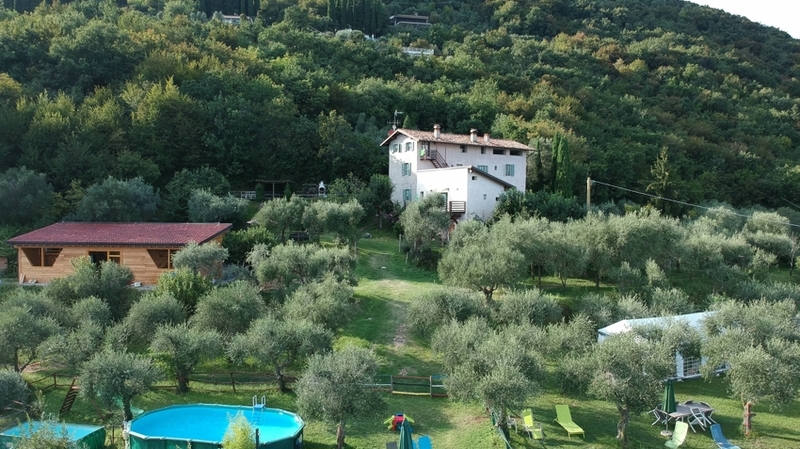 Spend relaxing and regenerating holidays with the whole family that you will remember for a very long time. 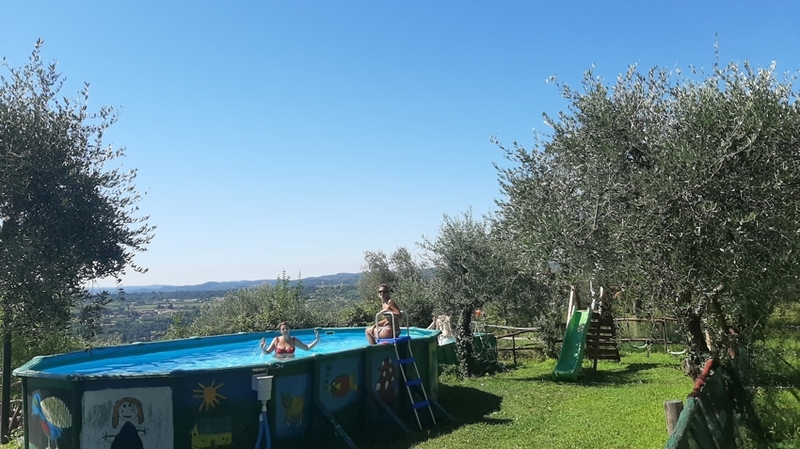 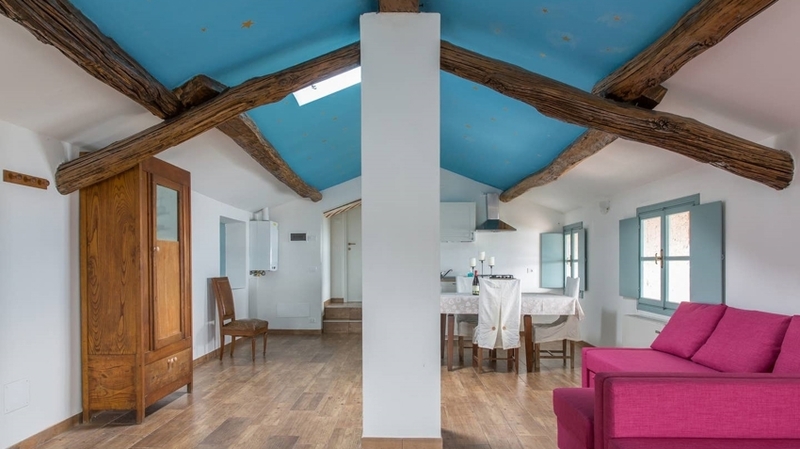 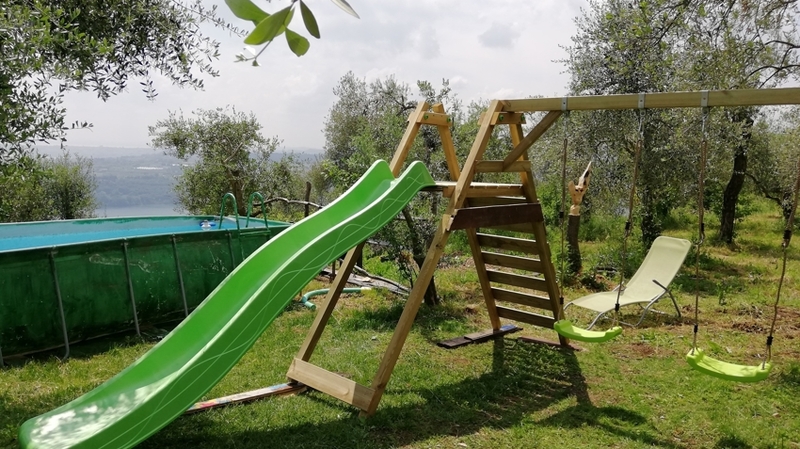 Our guests are offered lovingly designed apartments for 4-6 persons, which have been created during the refurbishment of the old “Pignino Sera” farm in 2013. 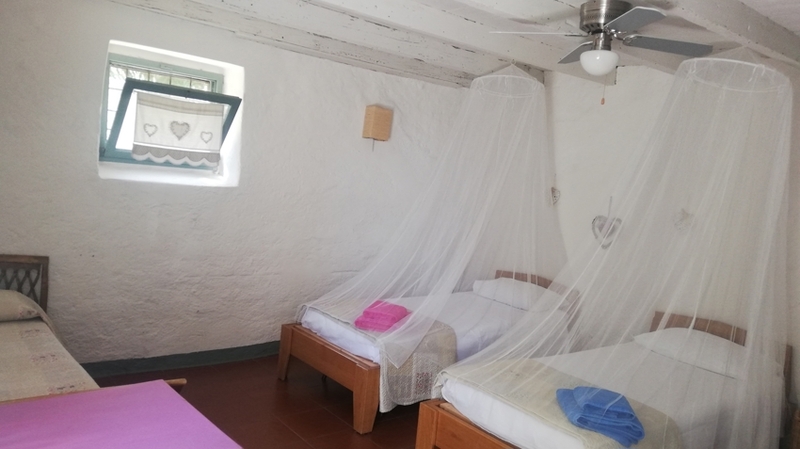 The apartments are spacious and furnished with great attention to detail, have a large living room with satellite TV, 1-2 bedrooms, a fully equipped kitchen and a bathroom with shower. 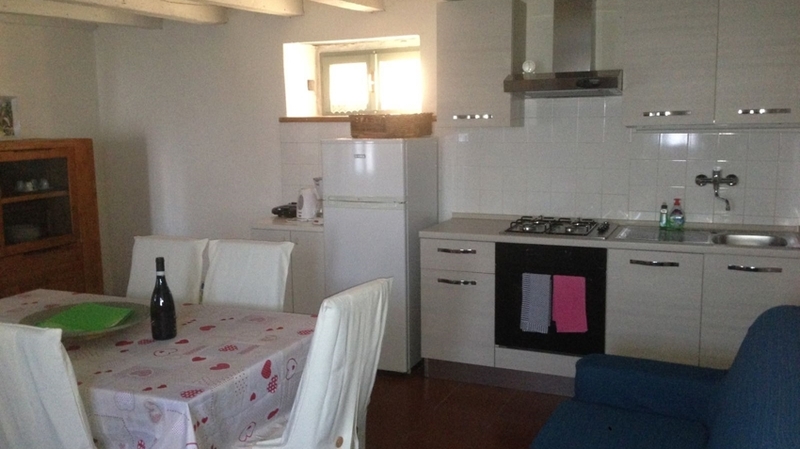 All apartments have a separate entrance via the courtyard or via a private staircase. 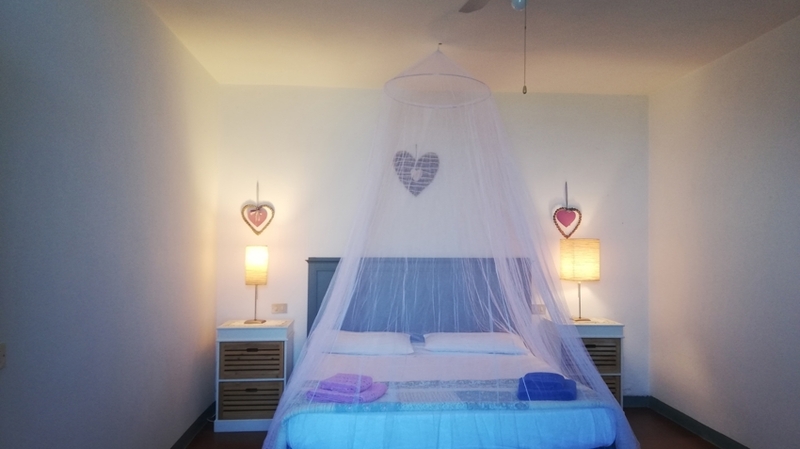 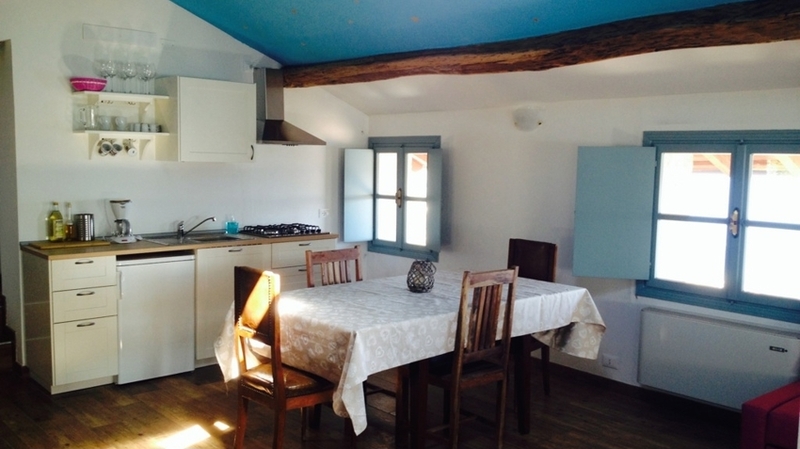 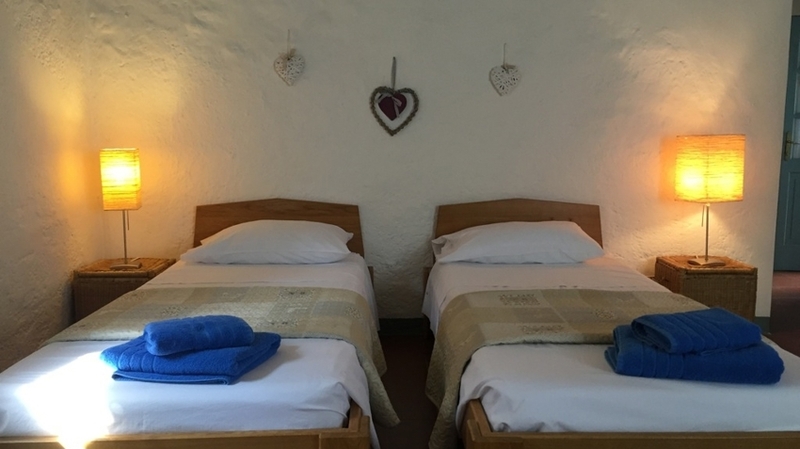 Included in the price as well is free WLAN, children’s beds on requests, a car parking and a playground. 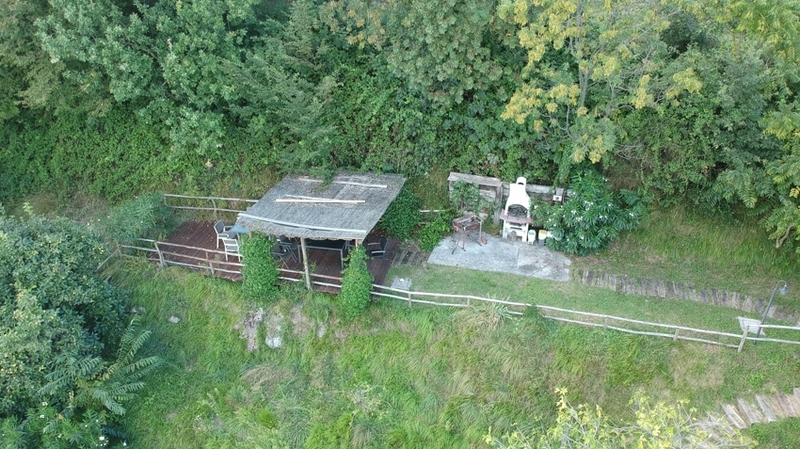 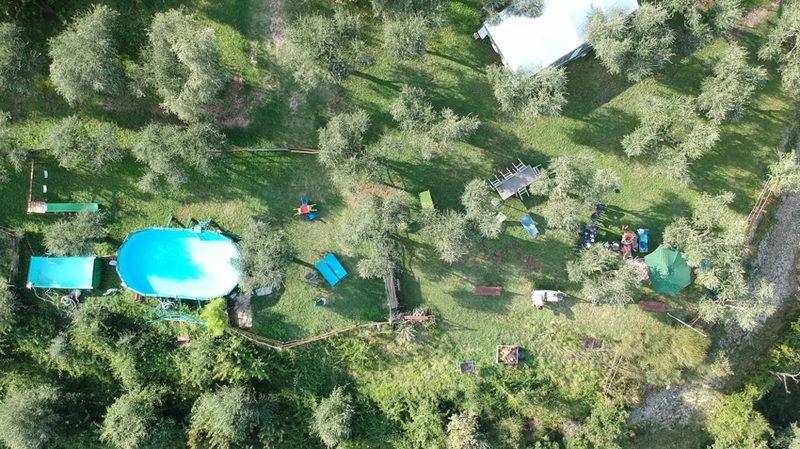 Alone the property of Agriturismo Conte Brunello in Salò is a paradise for families and for their four-legged friends. 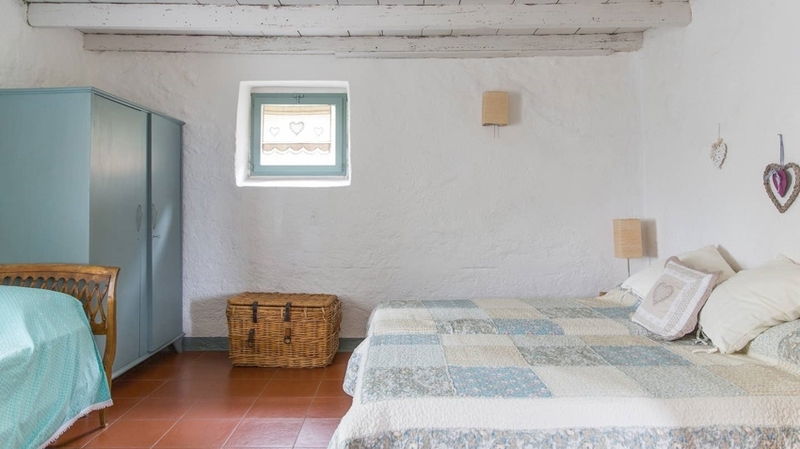 As well, our guests can take the eggs from our henhouse as well as vegetables from our garden. 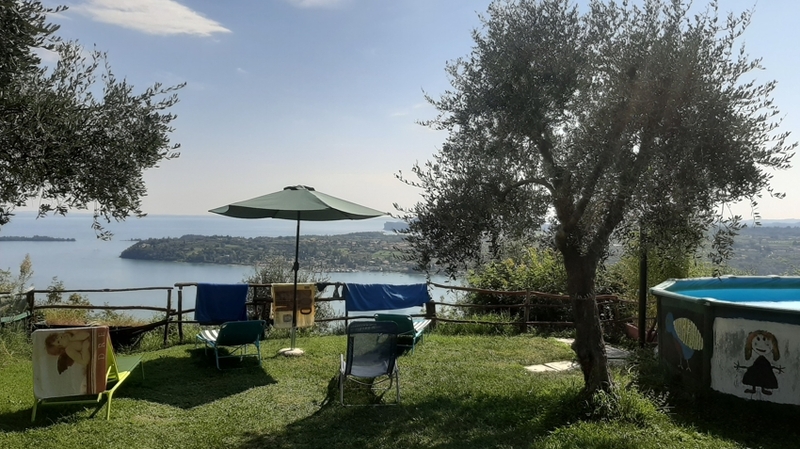 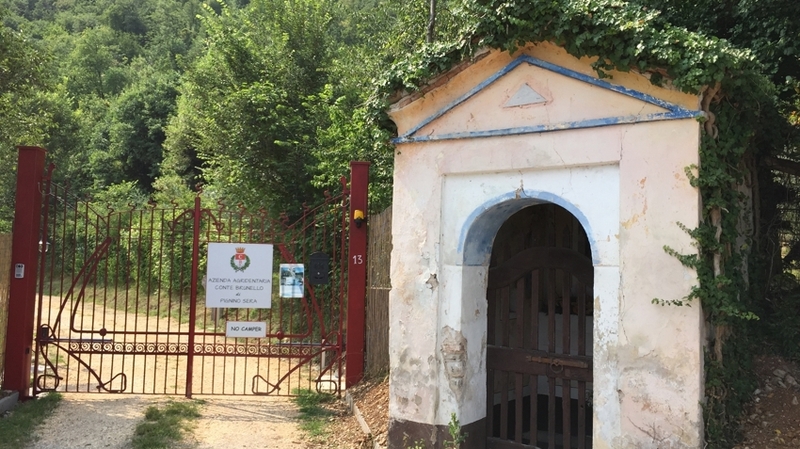 In the surroundings, you should visit the beaches of Salò and Gardone Riviera, the historical centre of Salò and the Vittoriale degli Italiani in Gardone. 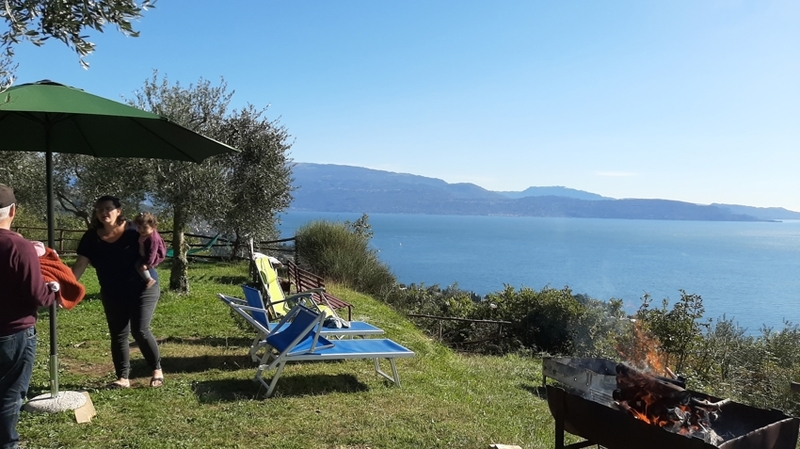 Hikes, tandem flights and hang gliding from Monte Pizzocolo and from Monte San Bartolomeo will be a very special experience too. 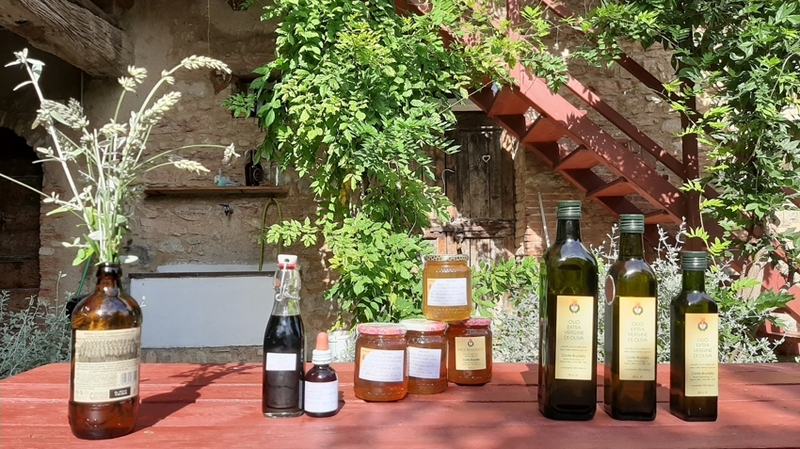 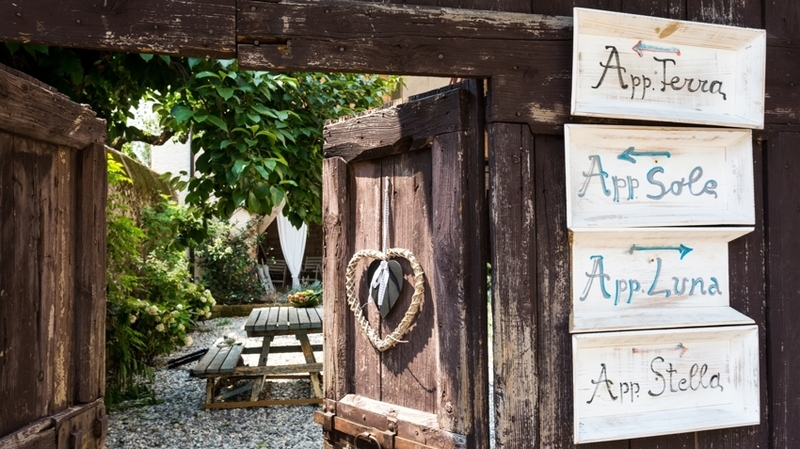 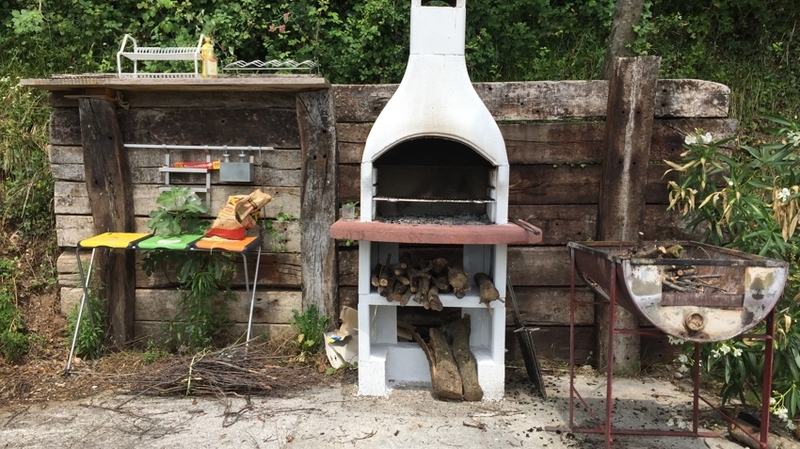 Gourmets will love the delicacies served at “Agriturismo Il Rudere” or “Osteria di Mezzo” in Salò. 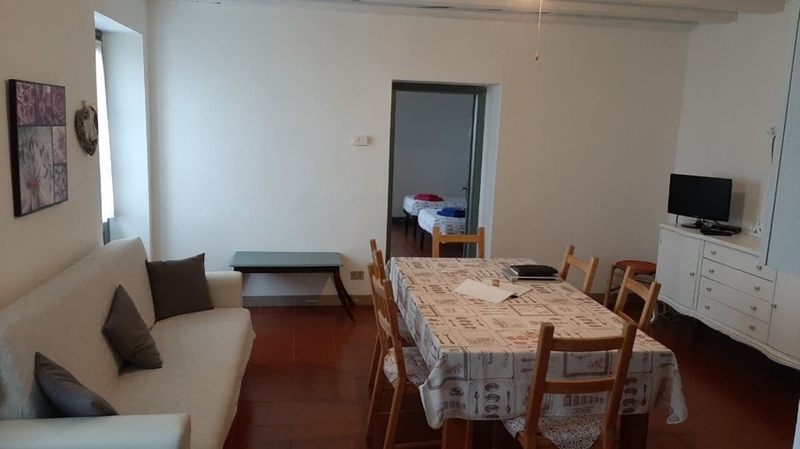 The apartment EARTH (for 4 persons, 40 sqm) on the first floor is composed of a living room with fully equipped kitchen, Sat TV, dining table, one double bedrooms (190x160), mezzanine floor with two beds, big balcony (8m x 1,5m) and a bathroom with shower. 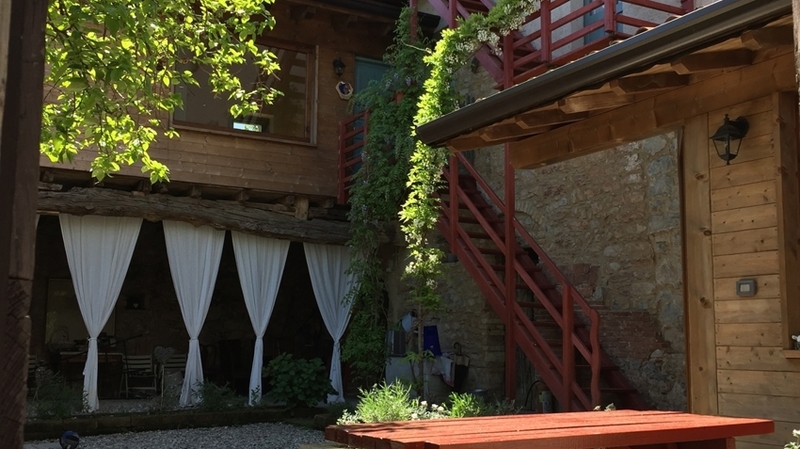 You reach the apartment from the courtyard of the farmhouse. 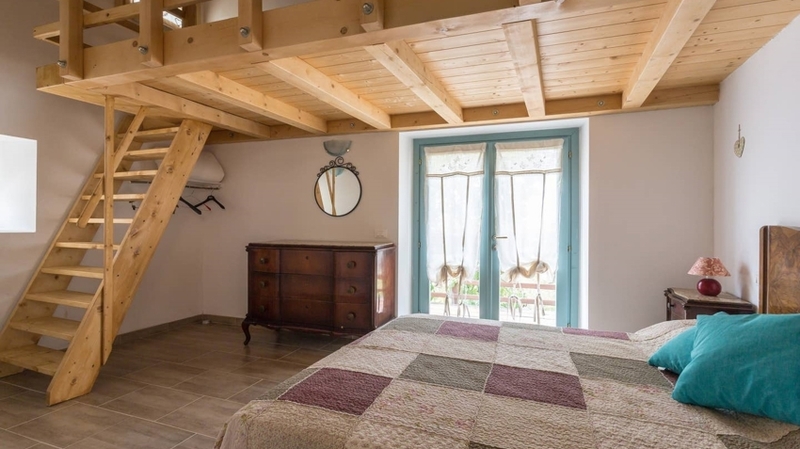 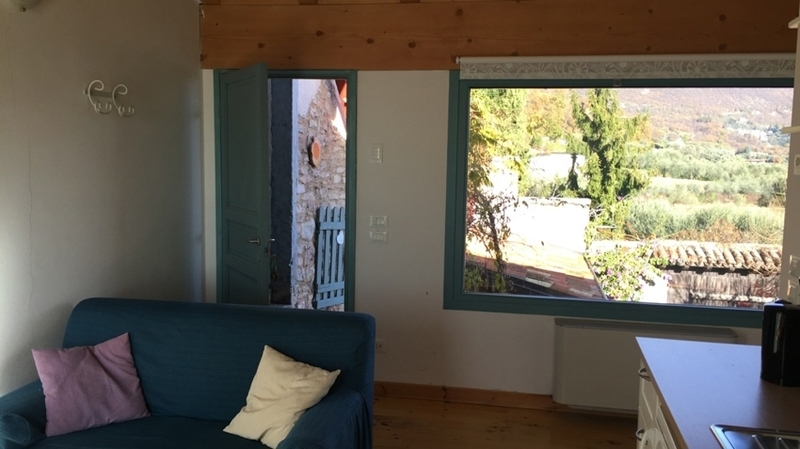 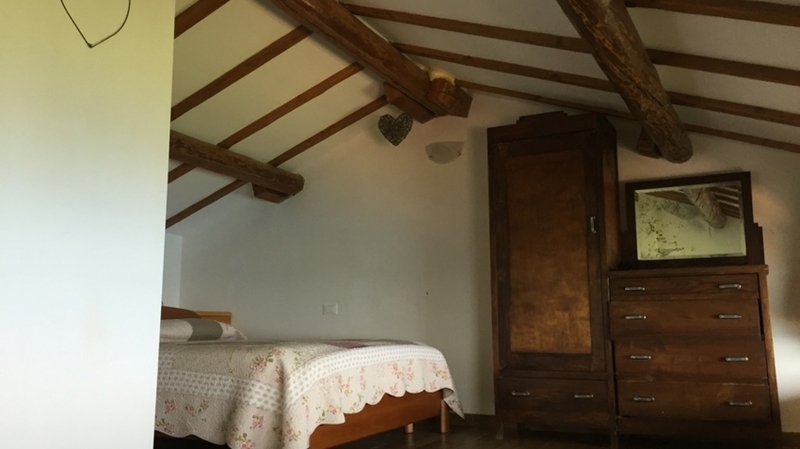 The apartment SUN (for 5 persons, 70 sqm) on the first floor is composed of a large living room with fully equipped kitchen, Sat TV, dining table, a fireplace ready to use, one double bedroom (190x160), one room with tree single beds and a bathroom with shower. 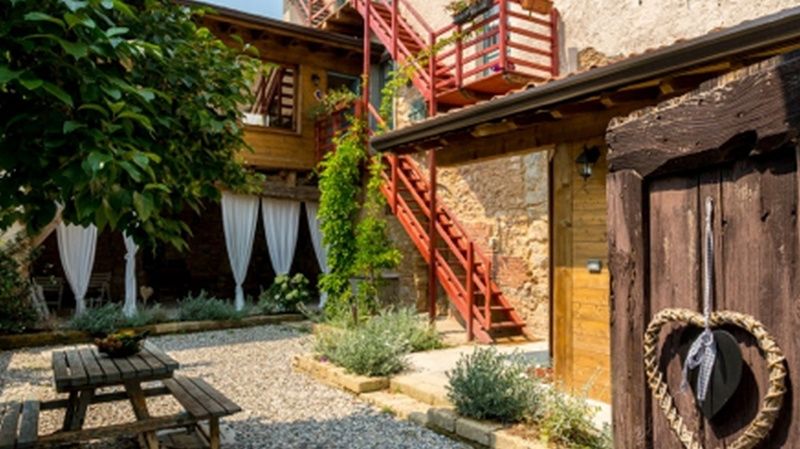 You reach the apartment from the courtyard of the farmhouse. 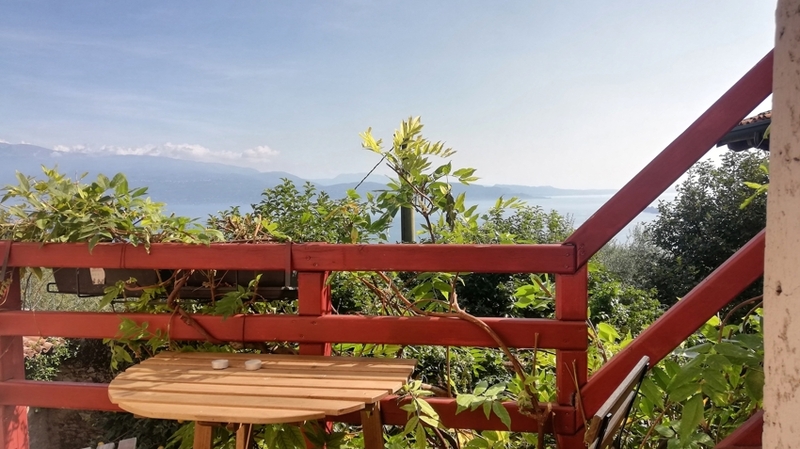 The apartment MOON (for 5 persons, 70 sqm) on the second floor is composed of a large living room with fully equipped kitchen, Sat TV, dining table, one double bedroom (190x160), one room with tree single beds, and a bathroom with shower. 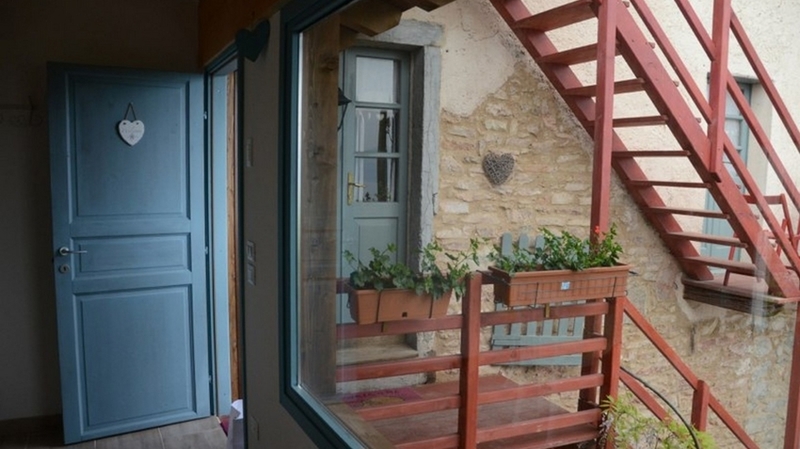 The apartment has a private entrance from the back of the farmhouse. 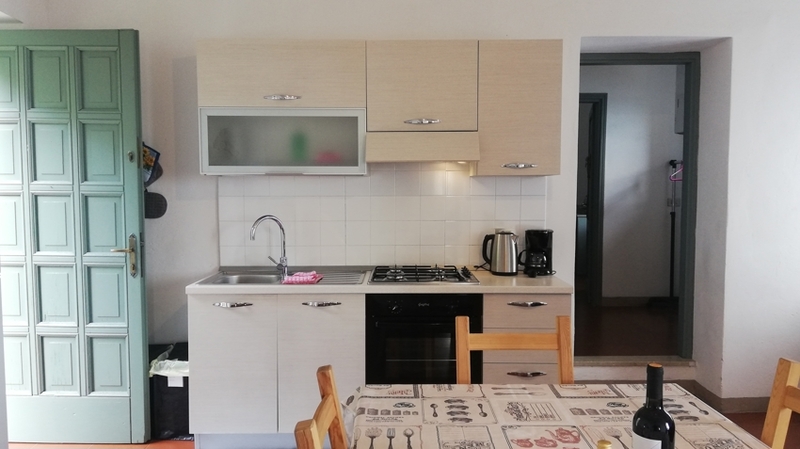 The apartment STAR (for 6 persons, 70 sqm) on the third floor is composed of a large living room with 2 double sofa beds, fully equipped kitchen, Sat TV, dining table, one double bedrooms (190x160), balcony (3m x 1,5m) and a bathroom with shower. 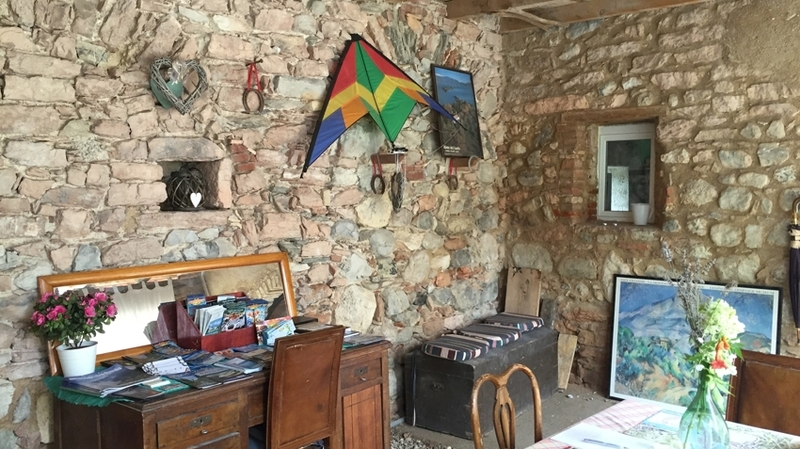 The apartment has a private entrance from the back of the farmhouse.